This week at Wasatch Academy of Wine‘s French Wine Scholar program, we learned about the only region of French wine country that I’ve personally visited: Champagne. 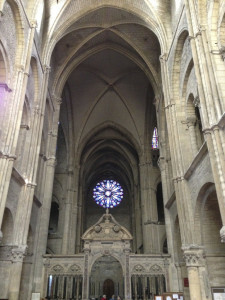 The two primary towns housing the largest champagne houses are Reims and Epernay (about 20 minutes apart by either car or train). There are three AOCs in the Champagne region. AOC Rosé des Riceys makes 100% rosé from Pinot Noir grapes, AOC Coteaux Champenois produces 100% still wines and AOC Champagne contributes 100% sparkling wines. 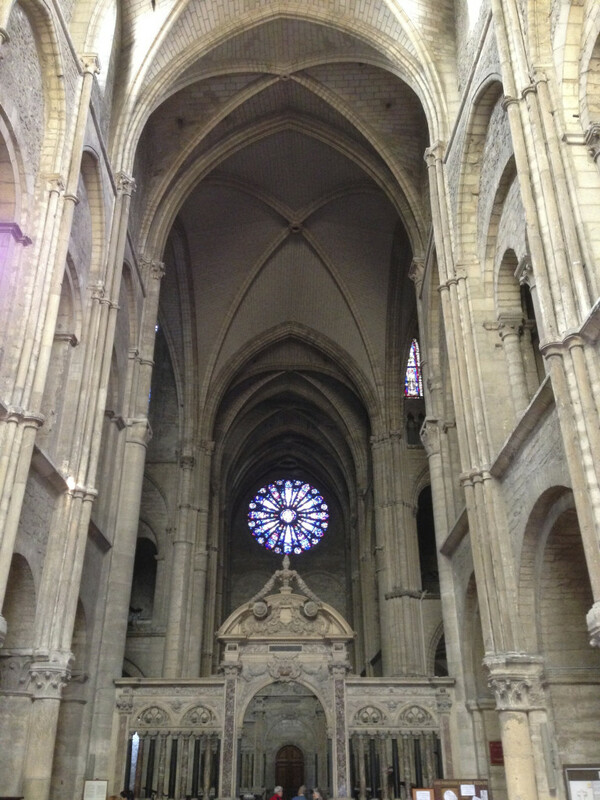 For 600 years, the city of Reims and its cathedral were the site where 27 French kings were crowned. But because of its important as a political and social setting, Champagne was always central to any war and vignerons of Champagne still find bullet casings in the soil today. 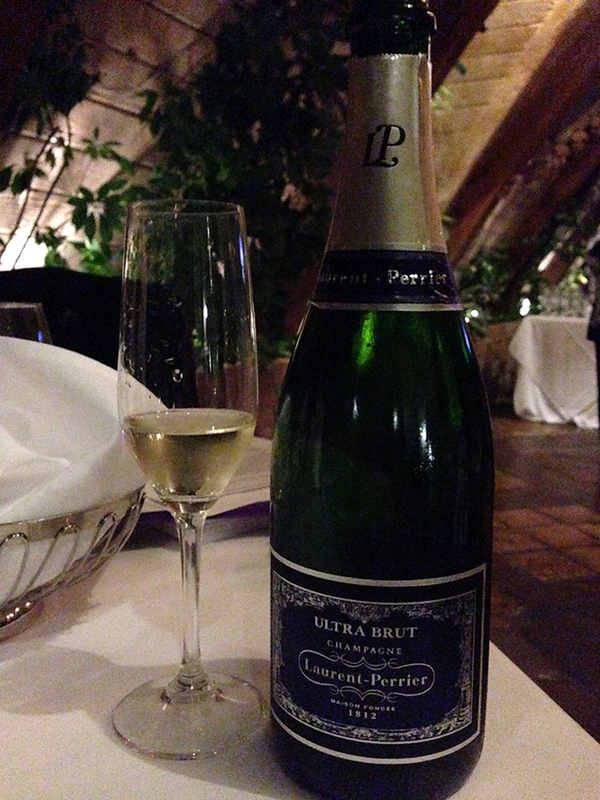 There are three grapes that are the cornerstone of champagne production: Pinot Noir, Pinot Meunier and Chardonnay. Chardonnay contributes the most acidity and alcohol to the blend. Five types of champagne are produced from those three grapes. 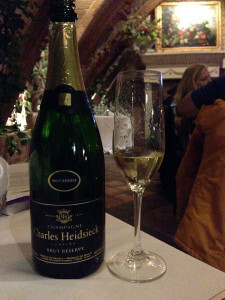 Vintage champagnes are reflective of a single growing season. They are more expensive because of the low production. 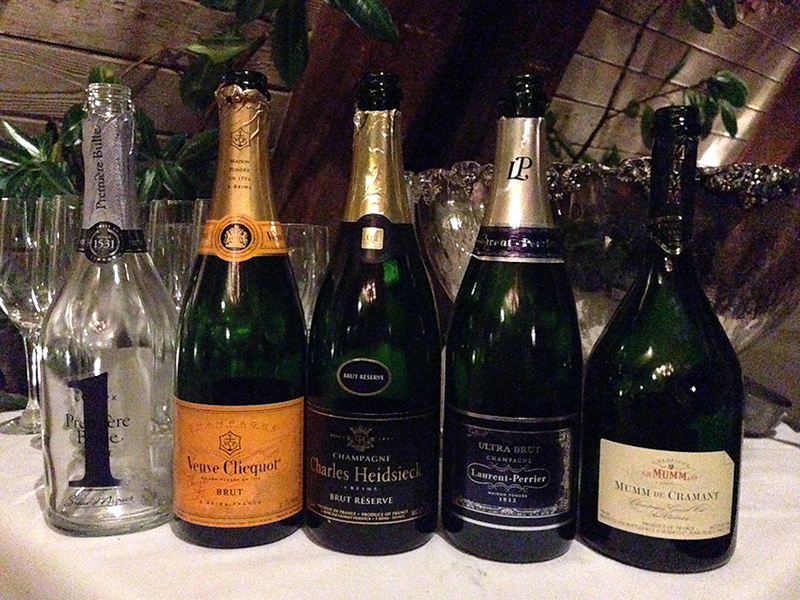 Bottles of vintage champagne will have the year on both the cork and the label. 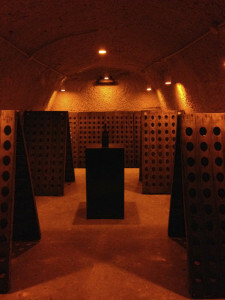 Non-vintage champagnes reflect the house style of the champagne and is produced by blending multiple vintages together. Blanc de blancs are made from white grapes (Chardonnay). 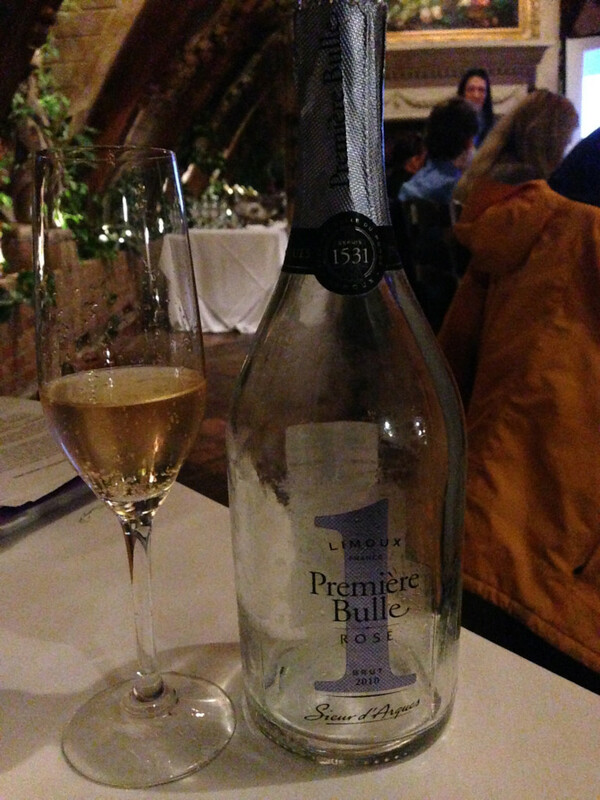 Blanc de noirs are still a white champagne but made from black grapes (Pinot Noir and/or Pinot Meunier). Rosé champagne is pink in color from the black grape skins and will have noticeable tannins. 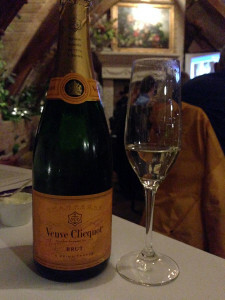 Most champagne is meant to be consumed within two to three years of release. The fight over the usage of the word “Champagne” began in 1887. It continues today. Growers in Champagne use sprinklers to keep the grapes from freezing during heavy frosts. Dosage replaces wine lost from the bottle when disgorgement happens and before the cork is inserted. Now for the tasting! *It should be noted that champagne pairs pretty well with just about any food that is less sweet than the champagne itself, so wedding cake is NOT a good pairing. The least expensive of our tastings, this sparkler is $19.99. Notes of cherry and strawberry make it a great pairing with lobster, grilled fish, salmon and duck. Perhaps the best known champagne to Americans, it’s available in Utah for $54.99. Madame Clicquot is credited for inventing remuage, the modern method of removing the lees from champagne (see the riddling rack photo above). Aromas of vanilla and brioche are evident. This champagne is Hollywood’s darling right now. Made of 55% Chardonnay grapes and 45% Pinot Noir, it is a lower calorie champagne because no sugar is added in the final dosage. It pairs well with oysters and sushi. 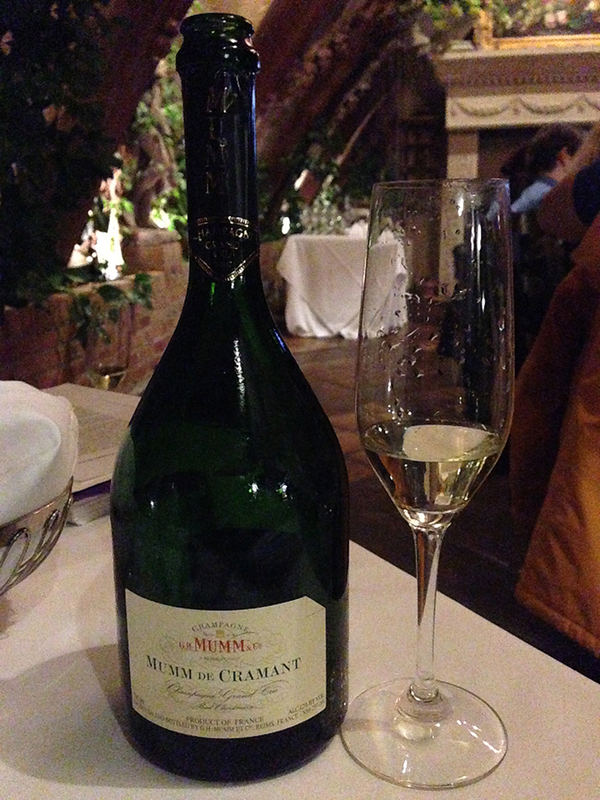 This champagne is available at DABC stores for $58.99 and won the Wine of the Year award in 2012. It’s equal parts Chardonnay, Pinot Noir and Pinot Meunier grapes that are an average of ten years old—resulting in a toasty brioche nose. You can get this lovely champagne here for $73.30—which represents a great value for this Grand Cru selection. Notes of baked bread and baked apples are prevalent.